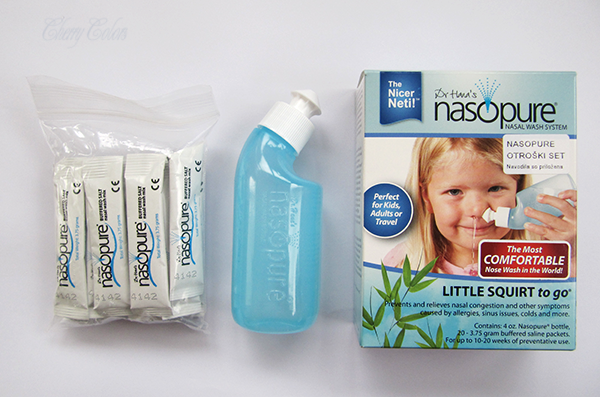 Nasopure - A Neti Pot With A Modern Twist - Cherry Colors - Cosmetics Heaven! 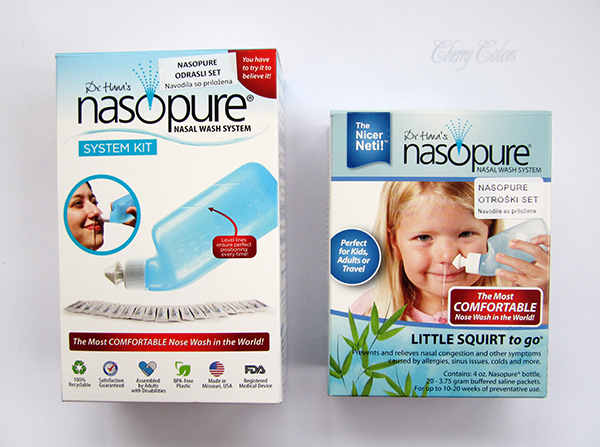 I was asking on my FB page if anyone would be interested in a review about these Nasopure Nasal Wash Systems. I got a thumbs up now you can read all about them in this post. I am not sure if you ever heard of classic Neti pots that have been used for centuries to wash out your nose. 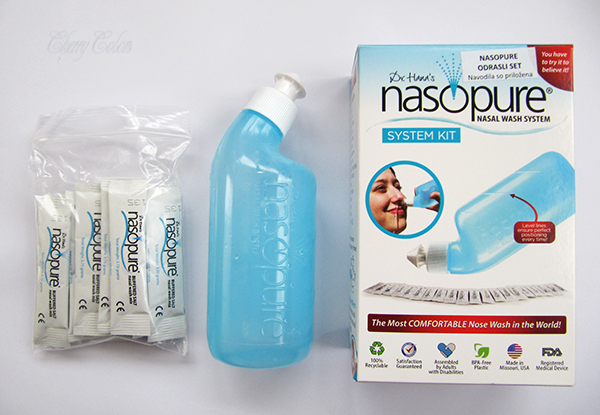 Anyway, Nasopure is a similar medical device that is supposed to be super comfortable and doesn't cause sinus blockage or random leaking of water when used properly. 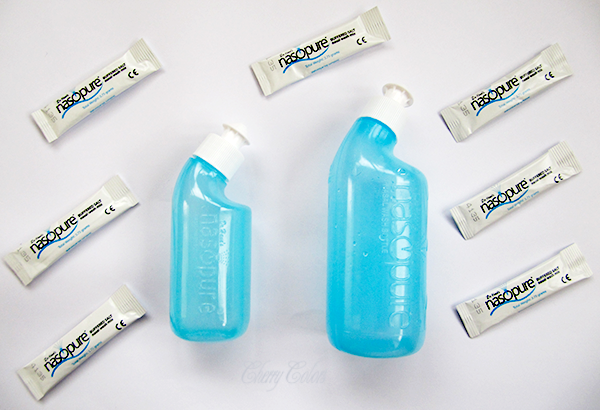 Some wash systems claim to wash out your sinuses, but the Nasopure system washes your nose, and in doing so, encourages your sinuses to drain naturally. This is called the Nasopure Effect. Successfully washing the nose, clearing the tiny cilia so they can move effectively again and using a law of physics called Bernoulli's Principle creates the best, the safest and a complete daily wash possible. You can read more about it, here. Truth to be told, I always wanted to try nasal irrigation. But neti pots seemed expensive and I usually had no real use for them. But once I got my septum pierced, I realised that cleaning my nose does help immensely with my sometimes blocked or irritated nose especially during the cold season. I would probably never have gotten it if it wasn't for a nose/throat/ear specialist to whom I took my child a couple of weeks ago. She used Nasopure to clean his nose out and taught me how to clean his nose using whatever I have at home. She said that I don't have to get this product, but you know, it looked so easy to use when she did it. And when I was cleaning my child's nose with a nasal spray (with saline solution) it was a true nightmare. He screamed, kicked, cried and hated every second of it. So Nasopure it was. I got two kinds - one for me (adult size) and one for the child (travel/ kid size). With each kit, I got 20 packets of Nasopure mix. It's a mix of salt and sodium bicarbonate. The powder is very fine and I was really shocked to see that it didn't irritate my nose. Woo! But more about it later. As you can see, the bottle differences are quite visible. 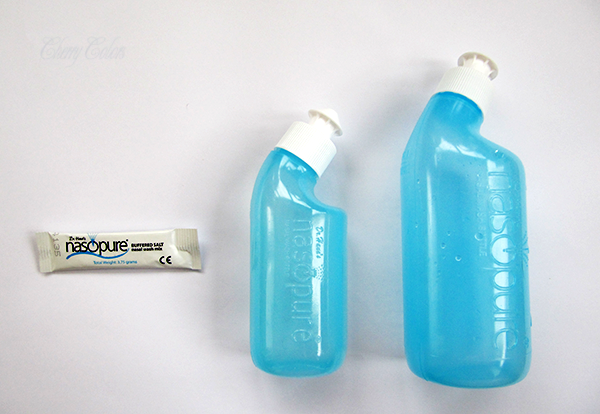 The nose part is the same size, but the bottle itself is not. Bot are made from soft BPA free plastic and on their site it says one bottle can be used for a maximum of 3 months. The water you use has to be boiled or distilled. The first time I used it, it burned mildly. I was prepared for it since I read the instructions. It wasn't all that annoying, but I didn't have exactly fun. The next time I used it, I wanted to show my child how fun it can be and this time it didn't burn or anything. I felt no discomfort. The child got excited and wanted to try it for himself. And he did, with his own bottle. He managed to get it to work (the water comes from the opposite nostril), but also choked a couple of times on the water. He'll get the hang of it ;). Now I use it every couple of days and whenever I do, I feel refreshed. Not because I'd feel cleaner or something, but simply because I can smell better and breathe deeper after a cleaning session. I can see myself using this once the flu season starts. No more "I can't breathe" sleepless nights. Woohoo! I did usually use Olynth or a similar nasal spray (decongestant) when I had a congested nose and I will still be using it, but before that, I'll be cleaning my nose with Nasopure. You know what's gross / interesting / mildly entertaining? 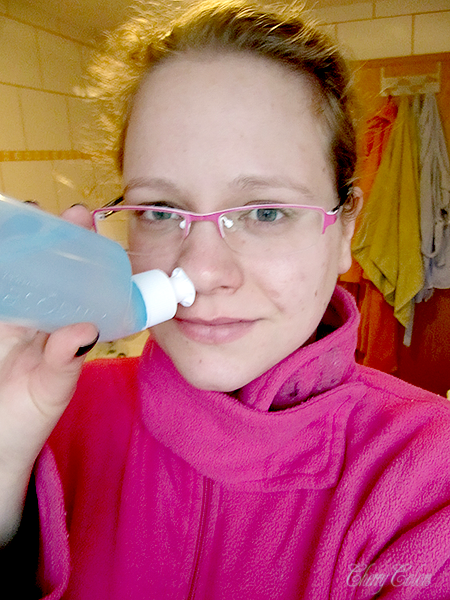 Today I used the Nasopure after I took the pictures and even if I didn't feel like my nose had anything inside (as blocking it), there came out several chunks of ... some dark colored stuff after I gently (haha okay, not so gently) blowed my nose after I washed it with Nasopure. The downside? The price. Seriously. This thing is damn expensive. About 23€ / set in pharmacies. Why should you be cleaning your nose? Well if you want to breathe easier, want to smell better, need to clean your nose anyway (hello fresh septum piercings? ), got allergies, are sick or just want to keep your nose free from smelly things. I am sure there are many better reasons why doing it. For kids, it's just so their stuffed nose doesn't cause an infected ear. I feel that if the price would be lower (like 15€/set) it would be better. At least thinking about quality / price / time of use aspect. You can get refills and sample kits which are cheaper, but not worth the price ($15 for a bottle + 4 packets of the mix). I feel that the concept is great and all we need now is some healthy competition in this market, so there will be better options out there. Not that this one isn't great, but I'd really like one that doesn't create extra waste for the environment. Otherwise, I am happy with my Nasopure and will be using it regularly. Have you ever tried a Neti Pot? Or a similar nose cleaning device?